Spending a few weeks away from the great British summer with my better half has traditionally been a fishing free affair. After all, keeping the 'boss' happy is the key to earning a few fishing tokens somewhere down the line and us anglers are nothing if not good at thinking ahead. Lure fishing for me and more specifically LRF though has now meant that the earning of 'fishing tokens' (on holiday at least) has been put on hold and I can sneak out for an hours fishing wherever in the world my good lady has been good enough to book up - provided there is a bit of water nearby. 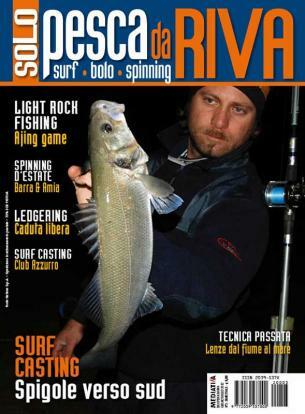 So with a borrowed Sonik 3-10g travel rod, a handful of lures / soft-baits and a bit of terminal tackle I tried my best to find a foreign fish or two in Northern Italy - Lido di Jesolo to be precise. The beach locally to me was sand. Sand for as far as the eye could see and being very shallow for a long way completely different to anything I would usually consider as LRF'able, but by chance I saw a local angler wandering down the beach, long after the last Speedo wearing tourist had gone home. I followed, then sat and watched him for an hour and was pleased to see a few small Bream landed which gave me something to aim for, local to where I was staying. A couple of frustrating evening sessions followed. When I could see fish breaking the surface, I struggled to get to them quickly enough as they travel up and down the beach chasing the baitfish. But when I found myself in the right place, I had great fun catching Scad, firstly on Power Isome and then on tiny jigs. 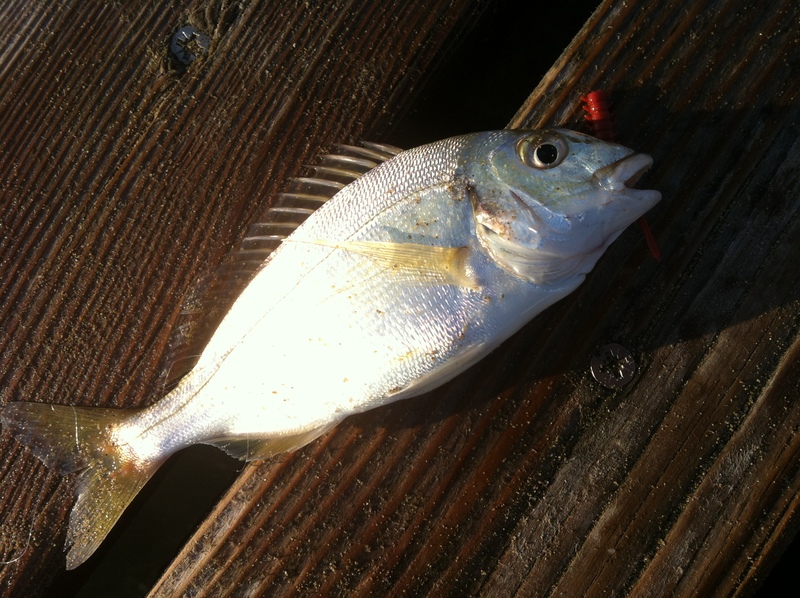 I almost got distracted with the Scad as they fought hard but I was determined to pick some of the small Bream I had seen being caught, but it was proving tough. 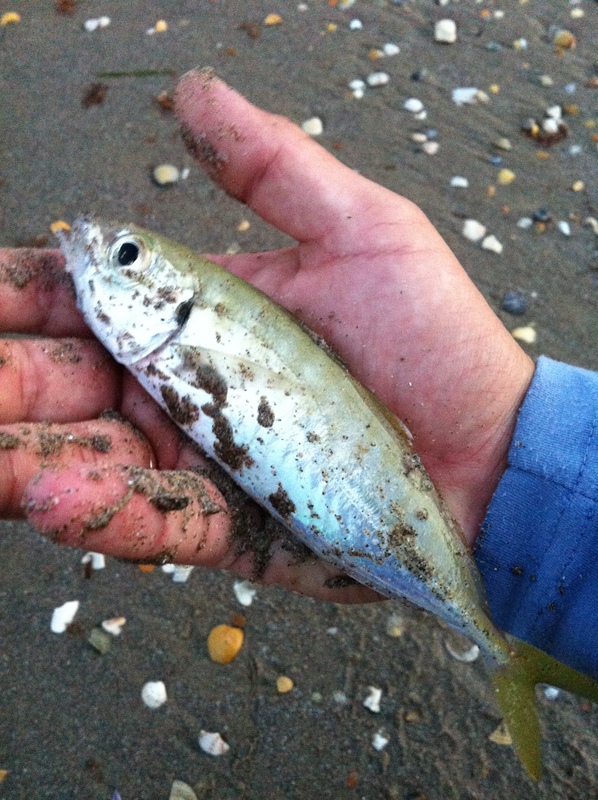 After much head scratching I realised the Bream would react to the lure puffing up the sand as it was retrieved. Clearly keen to see what may have been exposed, they would then attack pretty much anything that would show up and after many bitten lures I eventually made contact after scaling down my hook size to an Owner fine wire, size 16. I was very pleased to see they were small Gilthead Bream, a species I have not caught before despite trying for a few times in the UK. The few I caught were only palm sized but as with all the Bream family, fight way above their weight and as they are found all through the Med and Adriatic are an ideal travelling LRF'ers fish. 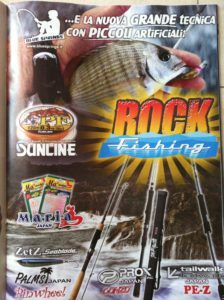 Great to see Rock Fishing getting pushed by mags and some good companies all over Europe. I hope to see a few of the names in the ad page show in the UK soon. The Maria lures were an LRF highlight of the fishing show in Nantes earlier in the year and featured heavily alongside Sunline in the article. I am not sure if these brands are 'stablemates' as far as distribution is concerned but I will be keeping an eye open for them alongside the existing Sunline dealers.